Good Afternoon everyone! Hope you are having a wonderful Tuesday, although after the holiday, it sure feels like a Monday, doesn't it??? 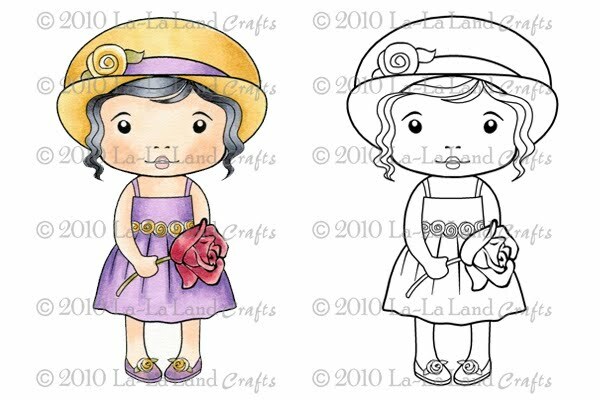 I am sharing a card I made with one of the new La-La Land Crafts stamps. Have you checked out the blog lately??? Boy, it's full of amazing inspiration with these cuties and our DT is posting every day a new card, sometimes even twice a day, so make sure you follow our La-La Land Crafts blog! We do have an amazing DT with lots of talent!!! 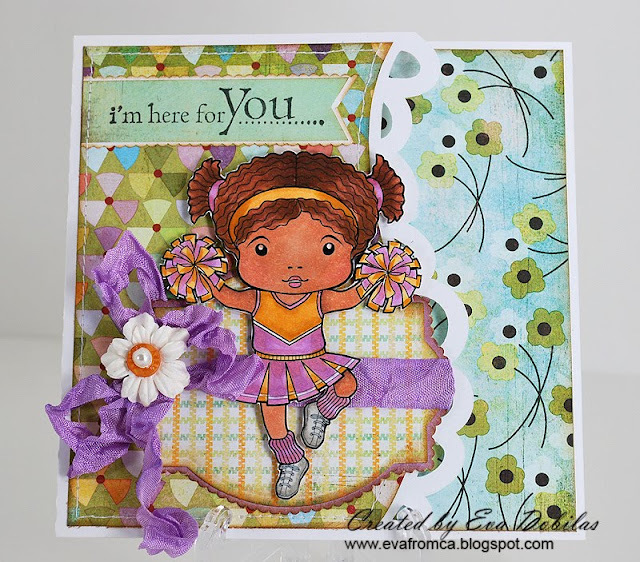 I thought today I would share a card made with our little Cheerleader Marci. Don't you just love her? She sure knows how to pick me up and cheer me on, and just overall makes me feel that she is just there anytime you need her, so I added a little sentiment saying just that. For my card base I used a Silhouette cut. I just love this card shape and have used it many times in the past, but don't get tired of it..hehehe. 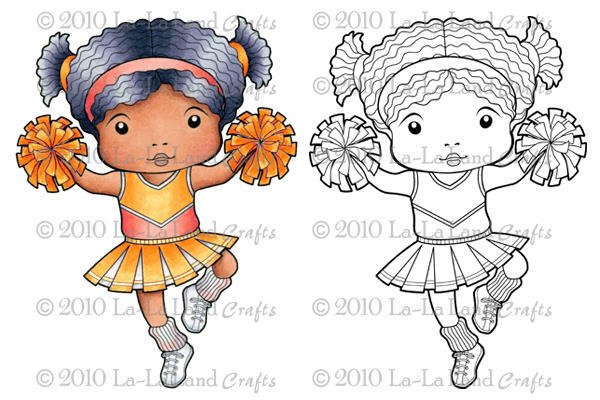 The papers I used are Basic Grey's Kioshi, which was just a perfect match for the way I colored my little cheerleader. 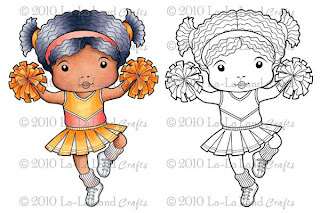 Well, I hope you like my little Marci Cheerleader card and just to let you know, she is still available in digi along with Marci with Rose, if you fancy digi, but soon, on the 15th, you can get her in nice deep red rubber, too.